Here are answers to some of the most frequently asked questions we get about our mobile security patrol services. What is All Cape Security Patrol’s mobile security patrol service all about? All Cape Security Patrol’s mobile security patrol is a private patrol, or security inspection and surveillance service that can randomly monitor your home, business, commercial property, construction site, or neighborhood. Patrols can be conducted at any frequency, over any length of time. This can be once a day, every other day, once a week, only on the weekends, or several times during the day or night 7 days a week 365 days a year depending on your needs. Who can benefit from hiring ACSP’s mobile security patrol services? Security conscious property owners/managers who realize that mobile patrol inspections are a proactive approach to property safety and security as well as a deterrent to crimes like theft, vandalism and trespassing. Construction site managers that want nightly, or weekend patrols of the site to deter theft and vandalism of tools, equipment and building materials. Owners of vacant properties and vacation homes that are shut down, or winterized for the off season and require only periodic exterior security checks for break-ins, vandalism, animal and storm damage. Owners of other expensive private property such as boats, RVs, heavy equipment, etc. What does the mobile patrol unit do when it gets to my property to perform a patrol check? Our patrol units will monitor the exterior of your property and any goods, equipment, vehicles, etc… located on the property for safety, security and damage issues. Our patrol agent will perform the specific tasks in the patrol orders for your property, observe and report on any suspicious persons, vehicles, activity or incidents in the area and conduct traditional crime prevention techniques in accordance with state and local laws. What if my property has specific task requirements and/or specific checkpoints that need to be documented during each patrol? And how do I know that these requirements are being met by the patrol unit? Mobile patrols can be contracted to perform any necessary safety and security related tasks per your specific needs. Regularly scheduled tasks such as pool, common area and fence lockups, employee escorts at shift change, parking violation sweeps, bank night deposit drop escorts, periodic checks of environmental conditions and mechanical systems can be setup in our system as part of our regular patrol services. In addition to patrols of parking areas and all buildings, goods and equipment on the property, we can perform foot patrols of specific areas on the property and check certain points based on your requirements. Our detailed patrol shift reports include GPS location and photos of each patrol check during the shift for verification of each patrol. 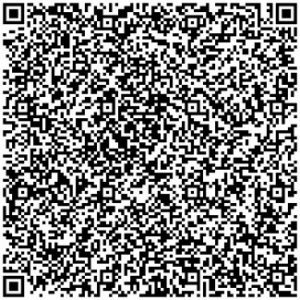 We use GPS tracking points and/or scannable QR codes at specific checkpoints on the property and require that these be scanned during each patrol check. These checkpoint scans will appear in the patrol reports along with a time stamped GPS position and images showing exactly when each checkpoint was checked and scanned by the patrol unit and images of current conditions. Our professional reporting and accountability is unmatched. At the end of each patrol shift, we will email you the detailed patrol shift report showing the details of each individual patrol check that was performed during the shift, including each checkpoint scan and verified completion of any required tasks. You will receive real-time text notifications and alerts along with emailed reports of all patrol activity on your property. How long will the patrol unit be on the property during a patrol check? The patrol agent will thoroughly check the external perimeter of your property before conducting a check on all points of entry of buildings on the property to ensure all doors and windows are secure. They will also perform any additional tasks based on the patrol orders for the property, including inspecting specific checkpoints. The designated time for the patrol and reporting time will vary depending on the property, the patrol orders and patrol tasks required for the property. A designated amount of time for the patrol check will be agreed upon in the contract with the property owner/manager before the start of the patrol services. Any time over this allocated patrol time period will require additional charges as described in the patrol service contract and the terms of service agreed to prior to starting the patrol services. If there is an issue at the property, the patrol unit will attempt to contact the property owner, or an authorized representative to approve of additional time on scene. If no one can be reached, the patrol unit will take whatever action deemed necessary while keeping in mind the best interests of the property owner. All Cape Security Patrol can perform high-profile marked vehicle, or low-profile unmarked vehicle patrols. The mode of the patrol check will depend on your preferences and the security needs of your property. We realize that every client’s property is different and because of that, our patrol vehicles are equipped to perform either type of patrol. Our security patrol vehicles are well maintained, late model vehicles that are fully equipped to perform mobile patrol services. ACSP’s patrol units are equipped with all necessary security patrol equipment including, emergency radio scanners, communications gear, flashing warning lights, spotlights and dashboard cameras that record the events of every patrol. In the case there is a problem discovered during the patrol that cannot be reasonably resolved by our patrol unit, we will notify the business owner/resident, or designated property manager as well as local law enforcement, or emergency services if necessary. What are the contract terms of mobile patrol services? Contract mobile patrol services are prepaid in advance and scheduled per your requirements. Patrols can be scheduled to be conducted at any frequency and for any time period you need. Mobile patrols can be done multiple times per day, or night, once or twice a week, every other day, every day, every night, only on the weekends, only for week or two, even on demand whenever you need them. What does the patrol check patrol report look like? Our security patrol check shift report includes the details of each patrol check on the property performed during that shift. These reports include details of the current property status, incident reporting and GPS and time stamped digital images of the property along with detailed images of any potential issues or problems that were discovered. These patrol reports will also include all checkpoint scans and task completions as required by the patrol orders. The property patrol shift or daily activity report is emailed directly to the client at the end of each shift. All the details of every patrol check completed during the shift are delivered in a single report (PDF document). Any incidents and issues discovered during patrols that warrant independent reporting are documented and sent separately. Simple SMS text notifications can alert you to patrol activity on the property whenever a report is filed. 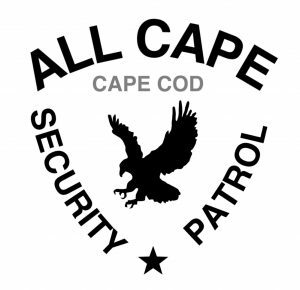 All Cape Security Patrol’s mobile patrol service contracts start at under $20, but rates vary based on patrol frequency, the time required to complete the patrol, reporting requirements, property size/type, location and the specific tasks required in the patrol orders/duty requirements of the property. We may offer discounts for higher frequency patrol checks, drive-through patrols and patrols of of multiple properties in the same immediate area. Email us or call (774) 383-2030 for a custom quote. If you need a dedicated mobile patrol unit or security officer to patrol, secure, or watch your property for any length of time, please call (774) 383-2030 or email us for a quote. Call us at (774) 383-2030 or email us today to discuss your property’s security patrol needs.